I’ve been a smoker on and off for way too many years. I quit and start, usually when stress is flares up. Of course, stress always flares up. One of my goals for the Knight-Wallace Fellowship year was to quit smoking. I mean, who has stress during a paid year off work? Turns out, even no stress has stress. Go figure. I would kick the habit for months at a time and then the siren call of a Marlboro Light would be too hard to resist. I know it will kill me. I can feel it killing me, in fact. I know how my body reacts when I’m smoking. Bleck. But that little rush, that little habit, that little tradition, it just overwhelms my brain. There’s nothing I like more than a glass of wine, a book and a cigarette on the porch. 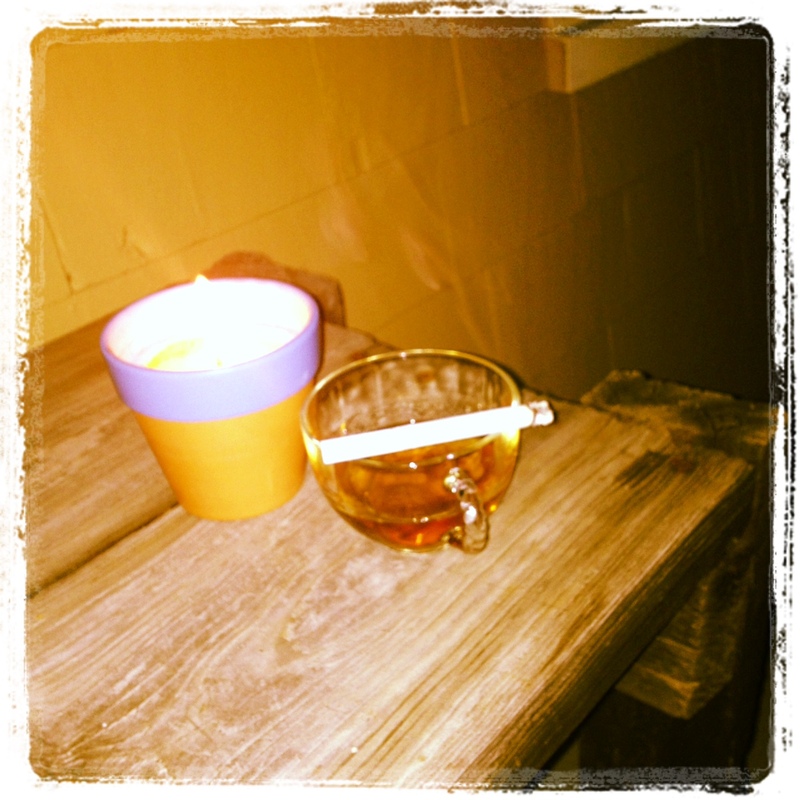 But that occasional indulgence quickly turns into just… smoking. Plus when I’m driving, I’ve always loved to smoke. And now that I commute two hours a day, I’m driving a lot. And thus, smoking a lot. Stacy Cowley and I have gone rounds over this for years. Having lost her mom to cancer, what she doesn’t want is to lose her best friend, too. Other smoker friends have railed on her for well, railing on me for smoking. But I’ve always given her full permission to harass, berate or whatever she needs to do; that is a luxury that comes with nearly 15 years of brutal-honesty friendship. Karl has been remarkably patient through my battle with smoking. He occasionally says something, but he mostly just tries to be supportive when I’m on the wagon and silent when I’m off. But I’m looking at our personal budget and spending habits, and I have to admit a change is necessary. We’re living on one salary now and certain indulgences have to go. Matilda demands all of our resources. So if Karl can switch to Budweiser, I can give up smoking. My father quit when times were really tough at home for us. He wasn’t working and cigarettes were an expense too far – even though a pack cost less than a buck. (Compare that to $7 here in Michigan and $13 in New York and times certainly are different.) Like father, like daughter, I guess. I recently read The Power of Habit by Charles Duhigg and highly recommend it. He taught me how habits are formed and how to identify the three-stage habit loop. It starts with the cue (stress), which leads to the routine (smoking) and finally the reward (feeling calm). If you can identify you cues (driving, for me; or stress; or social settings) you can change the middle part, or the routine, and still get what you are actually seeking. After all, nobody actually wants a cigarette or candy or chewed up fingernails; what we are seeking is the reward it gives us. So now I have to figure out my replacement. At home, I’m hoping I can trade out walking for smoking. So my habit loop would go like this: feel stress trigger, go for 10-minute walk, feel calm. Any time I feel like a cigarette, I go for a walk. At work, I’m hoping I can ride down the elevator and come back up to create the relaxed calm my brain is actually looking for. I’m not doing Chantix or anything else; I just have my willpower because the anti-smoking gum just makes me feel funny. I’d try regular gum, like my dad, but I think gum chewing drives Karl more nuts than smoking, actually. So baby carrots and other healthy options are in store. So thank you in advance for your tolerance and support. I’m hoping that by putting this out there I will feel some obligation to a broader community who is watching out for me. Of course, for a stress-smoker to quit right as she embarks on a whole-house renovation, well that’s just an irony of timing for you. Public declaration seems like good commitment step. Just don’t get stressed about it. G’luck . . . and do keep us posted.